I need to connect my android phone to tor network. I tried orbot, for some reason only orfox is working, other apps don't work - I set all setting to "torify" ALL apps but they don't connect. So I want to try to connect android phone to tor via reverse tethering usb connection. I have whonix installed in Virtualbox. 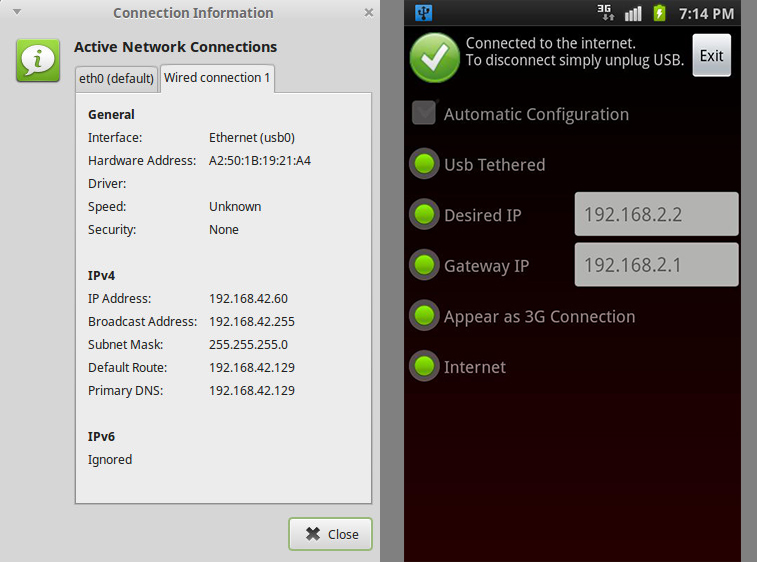 I am not very knowledgeable about networks, so if someone can help what IP addresses (desired IP, gateway IP) should I set in reverse tether app in android, so it make it connect and work? Or which settings should be changed so I can finally connect android to Tor? Full disclosure: I am a developer of Whonix. If you were able to make usb ethernet connection via this app - you need just a simple routing VM with Tor inside, no need to set up anything else: firewall will do the whole trick. Not the answer you're looking for? Browse other questions tagged whonix android virtual-machine or ask your own question.